Big Brother Naija 2018 housemate, Alex has taken a swipe at Cee-c over her fight with Nina. Cee-c on Monday evening engaged in a heated argument in the kitchen with Nina over sharing of food. Cee-c rained insults on Nina during the argument. 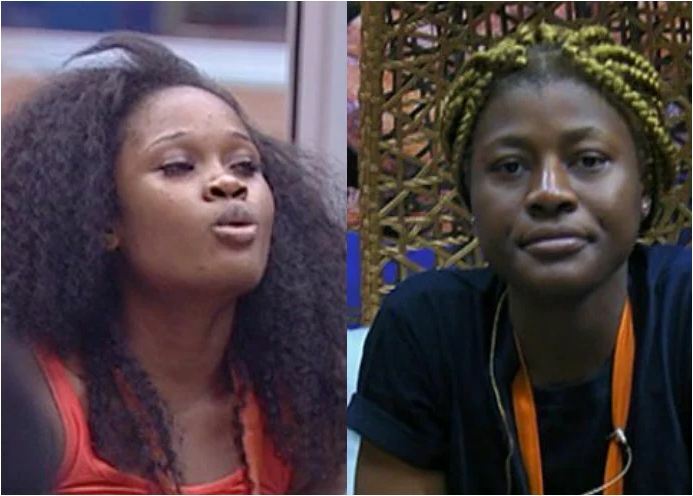 Alex in defence of Nina called on Cee-c to stop looking down on people. She was quoted as saying “There is no level in this house Cee-c.
“When you say unto what level , who are you, you are looking down on people, you don’t tell people who are you.